Cast : William Shatner, Leonard Nimoy, DeForest Kelly, Christopher Lloyd, James Doohan, George Takei, Nichelle Nichols, Walter Koenig, Dame Judith Anderson, Robin Curtis, Mark Lenard, Merritt Butrick, Robert Hooks, John Larroquette, Miguel Ferrer. Synopsis: After the events of Star Trek II, in which Kirk defeated Khan and watched his friend Spock die from radiation, we see a defeated Admiral Kirk watching his friend Doctor Bones McCoy slowly going crazy. When Spocks father arrives and tells Kirk his sons essence is living inside of McCoy, and that Kirk must retrieve the body of the deceased Vulcan from the newly formed Genesis Planet, Kirk must make some tough decisions. He steals the Enterprise to find the Genesis Planet, but along the way, is confronted with a new Klingon threat, General Kruge. Review : Climactic, adventurous entry into the Trek canon, sees Kirk dealing with his son, David, and the return of his best friend, Spock. Replete with the usual dry wit from the Enterprise crew, Star Trek III is a valiant effort to capitalise on the dramatic impetus attained with the preceding film. Unfortunately, some flat direction from Leonard Nimoy hamstrings this film’s momentum, and instead of being truly magnificent, remains merely average. 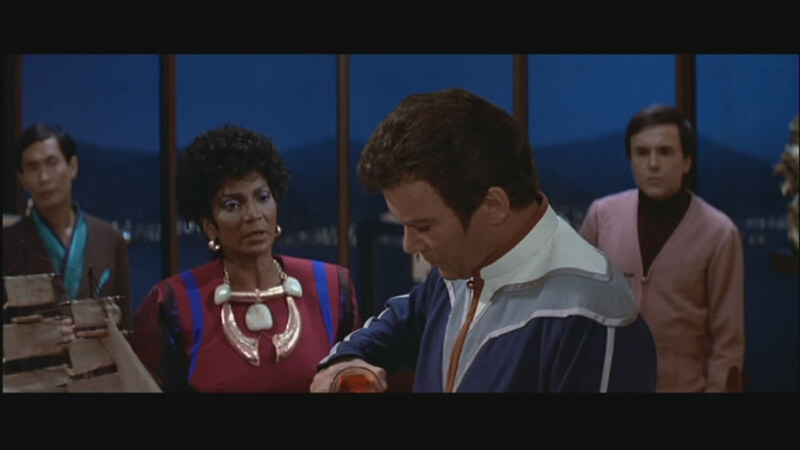 Shatner is wonderful, however, and holds the film together even when he’s falling apart. Picking up almost immediately after the conclusion of Wrath of Khan, Star Trek III begins in a dramatic fashion. Kirk, bereft of Spocks guidance, is approached by the dead Vulcan’s father, Sarek, and informed that Spocks essence is buried inside the mind of Dr McCoy, who appears to be going slightly mad. Sarek tells Kirk to locate Spocks body, so that his mind can be returned to it and the man can be resurrected. With the Enterprise due to be decommissioned, and no other ship sitting about spare, Starfleet won’t let him conduct a search. So, what is a Kirk to do? Simple, really. Steal the Enterprise, and take off to the stars searching the newly formed Genesis Planet for the casket containing Spock’s body. This really annoys Starfleet. Meanwhile, Kirk’s son, David, has returned to the Genesis Planet and the orbiting science platform with Lieutenant Saavik, and learned of the resurrection of a young Spock. Without his mind, though, Spock behaves simply, almost by rote. And as the Genesis planet undergoes it’s birthing throes, Spock, linked to the planet somehow, grows with it, aging before David and Saavik’s eyes. Parking was never a problem for Kirk. 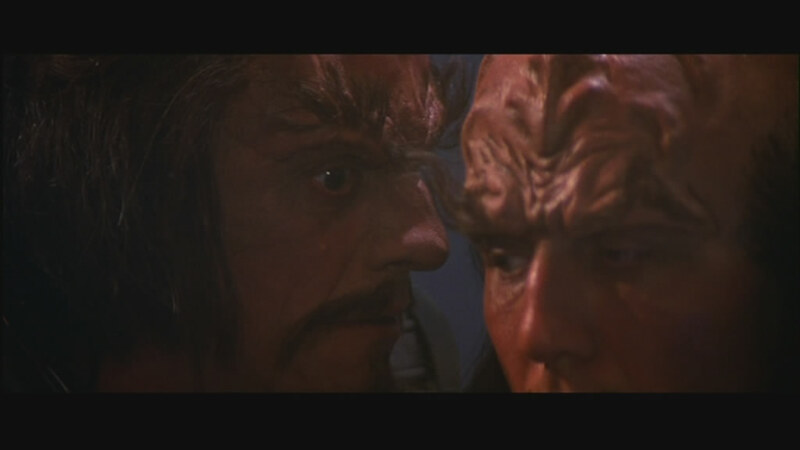 Problematic for Kirk, however, is the malevolent Klingon Captain, Kruge, played by Christopher Lloyd. Kruge wants the secret of the Genesis Planet, and the technology for it’s creation, for himself, to propagate the Klingon race by using it as a weapon rather than as a device for creating worlds. He will stop at nothing to attain it, even if it means the death of his crew, and even himself. 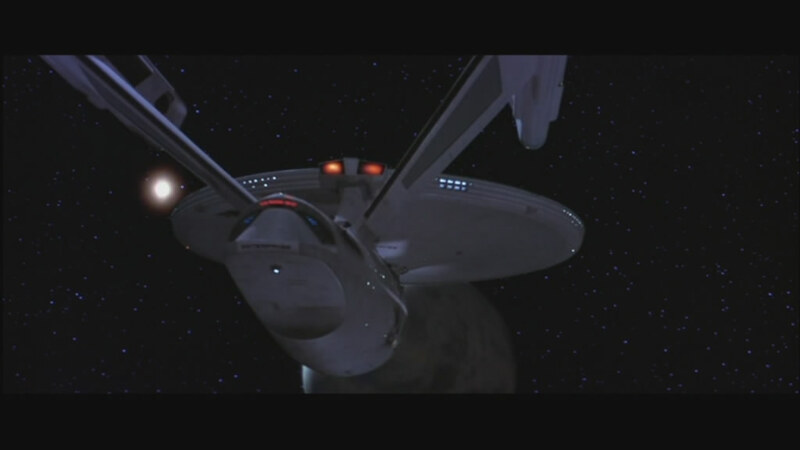 When he severely cripples the already badly damaged Enterprise, Kirk must sacrifice the famous ship in order to protect himself and his own crew. However, this is not before a significant event takes place that forces his hand. 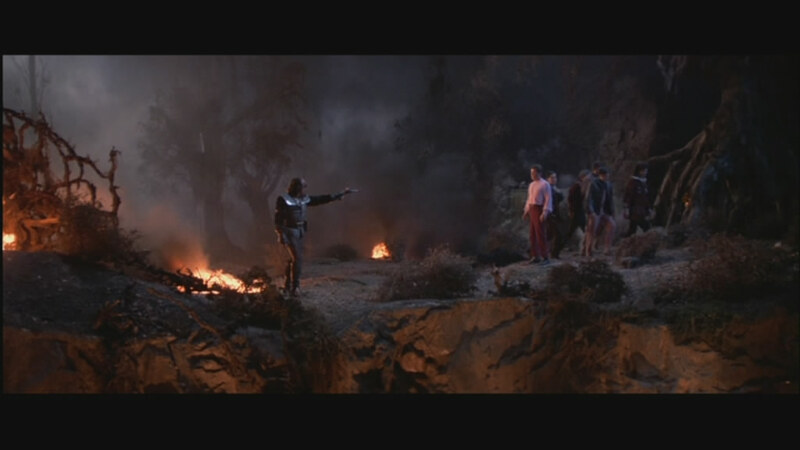 His son, David (Merril Buttrick) is killed by a Klingon when he attempts to save Saavik’s life. Kirk, already grieving the loss of Spock in the previous film, now must take on the loss of his only son, the only link he had to the future. Channeling this loss into anger, and directing it at the Klingons, makes for a very dangerous man indeed. To swipe a quote from The Incredible Hulk, you wouldn’t like him when he’s angry. Kirk’s Key party wasn’t going well. Yet, when Kirk and Co eventually triumph, it feels like a hollow victory; not because of the sacrifice that is made, but rather, for the somewhat insignificant gain to be made by the events of the film. All this carnage for the sake of one man (Spock) seems a little lop-sided, especially when you consider Spock’s dying words in Wrath Of Khan: “The needs of the many outweigh the needs of the few, or the one.” Personally, I think Spock would have been appalled at Kirks cavalier actions in trying to bring his friend back to life. Sarek, the instigator of the whole affair, should be held accountable for berating Kirk into action, when to do so would mean people would die. Spock’s sacrifice in Wrath Of Khan is utterly mitigated by this film, and turns what was a defining Trek moment into merely another “back from the dead” moment that sci-fi seems only to readily able to offer up when a character wants to return. Still, with Spock himself behind the camera, directing this film, you’d hardly be able to say he wouldn’t know the character well enough to judge this turn of events. Nimoy’s direction seems a little lost in it’s own sense of impressiveness. An inability to generate true tension, either from the chief antagonist (Kruge) or the pursuit and anger from Starfleet when Kirk steals the Enterprise, leaves the audience wondering what might have been. 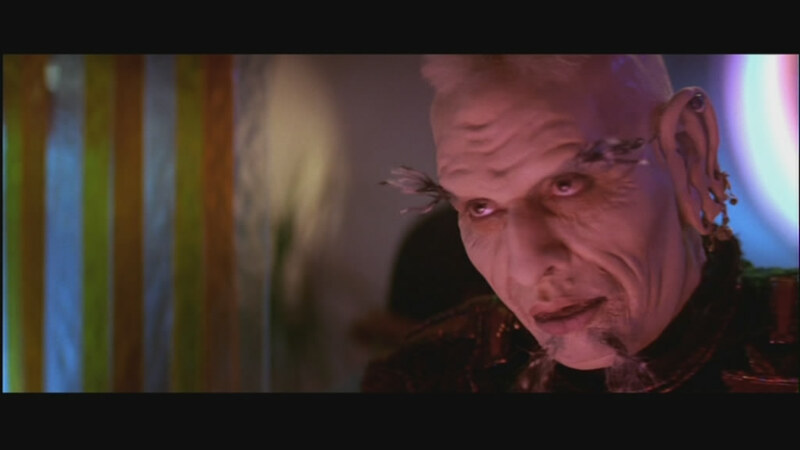 Christopher Lloyd, as Kruge, offers nothing new for either the Klingons or Trek in general, reduced to a snarling, clichéd film villain neither memorable or impressive. His brinkmanship with Kirk, on the edge of a precipice above flowing lava and planet-sized convulsions of earth, is bereft of any tension whatsoever. In fact, Kirk even has time to deliver a quip that falls utterly flat, before kicking the Klingon to his doom. Nimoy is unable to generate the required character tension that would propel a narrative like this, fraught with anger and revenge, along well, and instead, mishandles the human angle substantially. The fact that Dr McCoy has Spock living soul inside his head is almost buried beneath a wave of furtive space-escapism by Kirk, Sulu, Chekov and Scotty, as they steal the Enterprise to go on their mission. The lack of clear focus of the film is what eventually hamstrings it, generating only a limited amount of empathy with the story for an audience. Perhaps the only shining light here is the way David’s death is handled by Kirk. Showdown on the slopes of Mount Doom, a few years early. While Wrath Of Khan delivered a menacing, angry undercurrent, Search For Spock feels more like an extended TV episode of the famed TV series, lacking a cohesive central point with which to hang the audience’s attention on. There’s simply too many plot points working against each other, and poorly written, for us to bother with. The return of Spock, the Klingon threat, David’s death, Kirk stealing the Enterprise; everything clamoring for attention that simply isn’t warranted by a script which lacks a passion for the characters. The finale, with Spock’s essence being returned to his body, seems tacked on, a protracted sequence dealing with his return a woeful coda to what is a fairly mediocre film altogether. 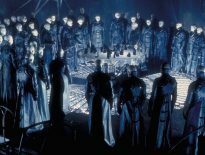 There’s a lot of Trek mythology on display here, as we get to know a little more about the Vulcan’s as a race, yet it’s… and I hate to say it… boring. For Barry the Klingon, the sexual tension was almost unbearable. The Search For Spock is a lackluster, if valiant, entry into the Trek film series, although it does vindicate the value of Spock as a character for Kirk to bounce off. Without Spock, Kirk is pretty much an untamed force of nature, like a powerful tornado swirling through space sucking everyone else into his vortex. Without Spock, Kirk is unable to be contained. And if this is what we get from Search For Spock, then it’s a little too little, and a lot too late.